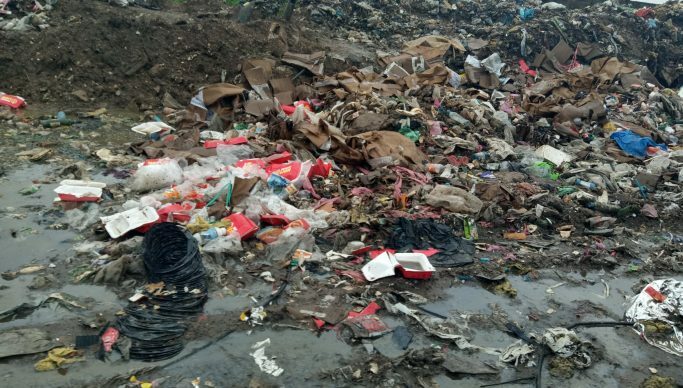 SOME residents around Chingwere dump site in Matero Constituency have appealed to Lusaka City Council to avert possible outbreak of diseases. Speaking to newsdayzambia.com yesterday, Aaron Kumwenda said there was need for the council to seriously look into the matter as the area had become a risk to the health of people living near the dump site. Kumwenda said with the unset of rains the past few weeks the dump site had become vulnerable to diseases. “We are appealing to the local authority to do something on this site before we experience another outbreak of cholera or any outbreak of diseases in the area which can also affect the entire Lusaka,” said Kumwenda. He said it was sad that the trucks dumping the garbage have now stopped dumping the garbage within parameters of the wall fence. And another resident Joyce Mulenga said the situation is alarming as they risked having diseases more especially the children who sometime spend their time playing near the site. Mulenga was more pragmatic and asked to the council to completely close the site until the issue was resolved. And speaking to one of the drivers who declined to named, the drivers could not drive within parameters of the wall fence to avoid being stuck. Meanwhile speaking to one of the women who pick recycled bottles for sale said they endure the bad smell and risk of contracting diseases so as to earn some money to feed their families. And a check by newsdayzambia.com found trucks dumping the garbage just along the road while some children were busy playing in area.